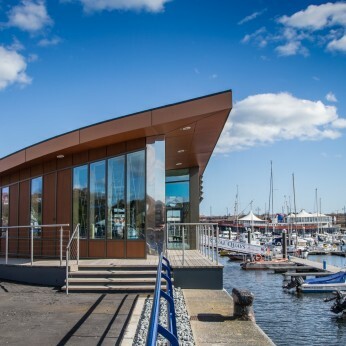 A bar/restaurant/cafe located on Royal Quays Marina with stunning views. Welcoming all customers and visitors to the marina. Situated in the beautiful surroundings of the Royal Quays Marina, The Lock can be found in Albert Edward Dock, a fantastic location with stunning views. We serve a variety of stone baked pizzas, pastas, flame-grilled dishes and fish and chips. Our multiple outside areas are dog-friendly, with refreshments and our popular Pup Cakes available for four-legged visitors. We host regular live music nights for you to enjoy great sounds in a relaxed atmosphere. Parking is also available for our customers visiting by car, located opposite the Earl of Zetland. Please be advised the car park and bays that run along the marina are for berth holders only and used to load unload equipment. We have launched our cocktail menu and it is going down a treat! We are in for a lovely weekend of weather at the marina, so no better time to come sample our cocktail range. Plenty to choose from at the bar, lagers/beers, wines, spirits and cocktails. Our Hot Chocolates are going down a treat! Made with Van Houten Spécial Bar Belgium Hot Chocolate, which is dairy free and suitable for Vegans. Added to either Full Fat, Skimmed, Soya, Oat, Coconut or Almond Milk to make a delicious range of hot chocolates to suit everyone.